Amazon.com Price: $25.80 (as of 2019-04-21 18:12:43 GMT) Product prices and availability are accurate as of the date/time indicated and are subject to change. Any price and availability information displayed on Amazon.com at the time of purchase will apply to the purchase of this product. 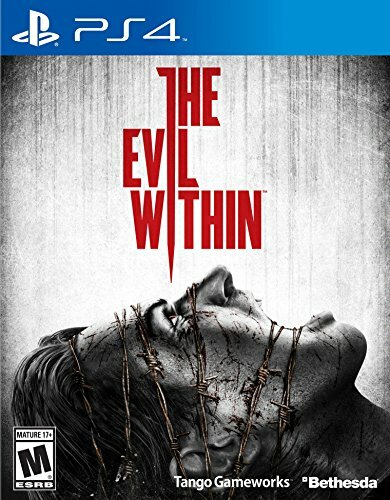 Developed by Shinji Mikami — creator of the seminal Resident Evil series — and the talented team at Tango Gameworks&#8482, The Evil Within™ embodies the meaning of pure survival horror. Experience a disturbing reality as you try to break free from warped machinations that could only exist in the most horrifying worlds. Face twisted creatures and experience true terror, all heightened by cutting edge lighting and animation made possible by a customized version of the id Tech 5 engine.